Farberware purECOok Nonstick Ceramic 12-pc. Cookware Set Just $61.16 at Kohl’s! You are here: Home / Great Deals / Farberware purECOok Nonstick Ceramic 12-pc. Cookware Set Just $61.16 at Kohl’s! Farberware purECOok Nonstick Ceramic 12-pc. 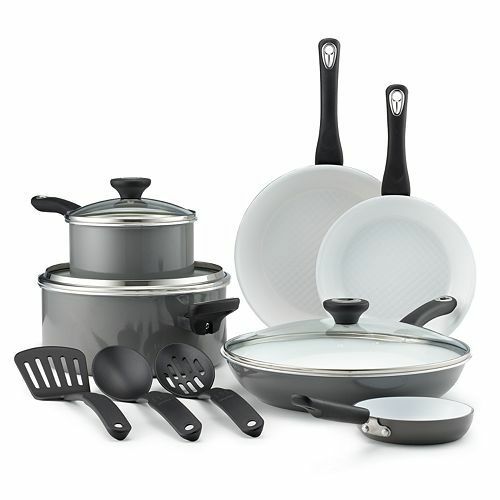 Cookware Set Just $61.19 at Kohl’s! Kohl’s has this Farberware purECOok Nonstick Ceramic 12-pc. Cookware Set on sale for $89.99, but you can get it for just $61.19!